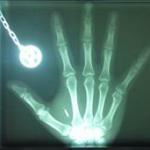 I'm pretty new to biohacking and I'm still waiting to get my first implant. Having said that, I'm really interested in building my own implants in the future as I have the required knowledge and skill (that is in electronics and especially programming), but I just can't wrap my head around the process of turning a working electronic circuit into a bio-compatible implant. First of all, is it even possible to do something like that at home? I have seen someone actually put a full sized PCB with the circuit into their forearm enclosed into some bio-compatible material, but I don't really find that a good solution as the implant (and your skin / arm) could get damaged very easily (at least that's what it looks like). I would rather have the circuit be put into a glass capsule and implanted using an injector, but of course this isn't always a plausible solution as not many circuits are small enough to fit into a ~3 mm x 14 mm capsule. So the second thing I thought about doing is putting the circuit onto a thin PCB-like material that would be able to bend to the shape of your arm (or whatever part of the body you're implanting it into) kinda like the UKI (now VivoKey) from dangerousthings.com. And if none of these methods were possible I would at least want to make the PCB as small as possible, so it wouldn't be (very) noticeable under the skin, and then enclose it in some sort of bio-compatible material. But what kind of material to use for an enclosure? Long story short: it is possible to build implants at home. But you need the experience and the right equipment. Something like the Circadia (the brick sized implant you mentioned) is pretty much the worst possible but working way to do it (kudos to the balls of steel but yeah). 3x14mm would be a perfect size and would be just about enough to serve simple circuits, a Clock circuit maybe, basic IO stuff. You certainly want to go with very compact sized circuit parts, DIP is totaly out of question, even SO and TQFP can be a disadvantage. QFN packages would usually be your first choice, given you have a hot air soldering station and experience working with them. Also stay away from bendable circuits, they will cause you a lot of trouble unless you know exactly what you'r doing. In most cases, bending stuff means damaging stuff (immediately or on the long run). Best options so far are to build the implant small, flat and stiff. Regular circuit board of maybe 20x50mm offers enough board space. Depending on your circuit you could either cast it in some bioinert material, or just apply a reasonably thin/thick coating. Alright, thanks I'll keep that in mind. It might be a while before I build anything anyways because as I said I'm very new to this kind of stuff and I still need to get my first implant done. And as my first time I'm definitely not building it myself.